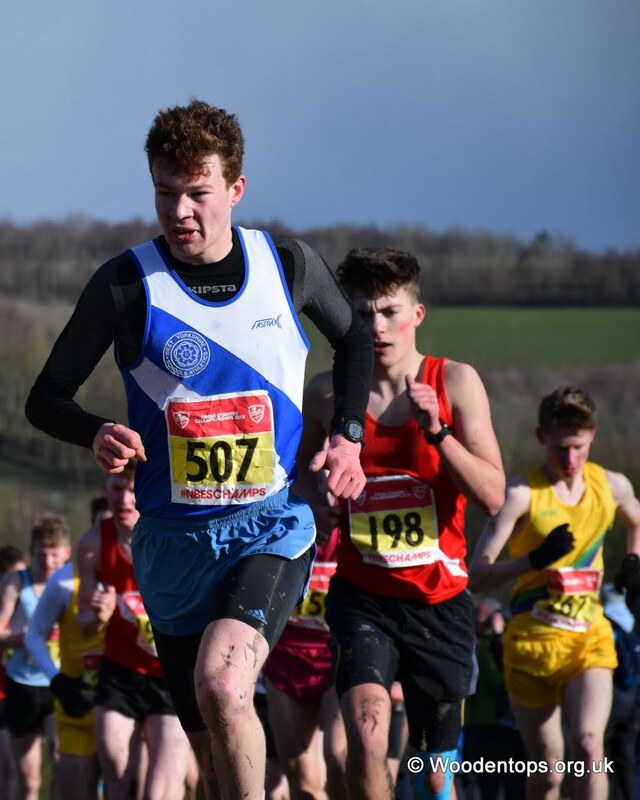 The championships were held on 16 March at Temple Newsam Park, Leeds for the second year in a row, and once again the weather conditions were very tough on what was already a demanding course. Seven of our young Harriers were were selected to represent their counties as a result of a selection race organised by the county associations: Ruby Firth ran for North Yorkshire and Grace Dawson, Emily Field, Alex Flaherty, Rebecca Flaherty, Reuben Mantle and Oliver Peace all ran for West Yorkshire. In the Junior category (U15) Rebecca Flaherty was 42nd (2nd counter) in the girls’ race and Oliver Peace came 88th (3rd counter) in the boys’ race. 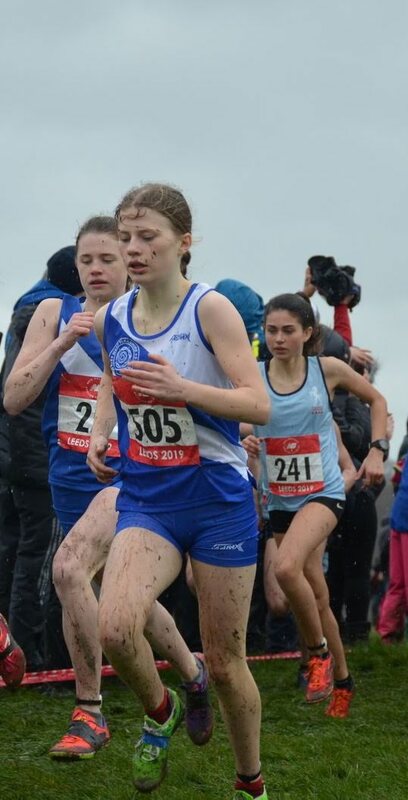 In the Intermediate category (U17) Ruby Firth was 143rd and Grace Dawson 202nd in the girls’ race and Alex Flaherty came 92nd (1st counter) in the boys’ race. In the Senior category (U19) Emily Field was 44th (1st counter) in the girls’ race; and Reuben Mantle was 51st (3rd counter) in the boys’ race. For the team competition, the counties were divided into four groups, with each group containing counties of similar sizes according to the number of eligible pupils. The ESSA website refers to the groups as ‘big’, ‘medium’, ‘not so big’, and ‘little’ counties! North Yorkshire and West Yorkshire were with nine other counties in the ‘medium’ group. Up to eight athletes could compete in each gender/age group team, the first six finishers made up the team result, and the age-group results were added together to give a total score for each county. In the boy’s competition, Devon was placed first overall, with North Yorkshire in 2nd place and West Yorkshire 7th. Cheshire won the girls’ competition, North Yorkshire was 3rd and West Yorkshire 8th.